Mayor Rahm Emanuel and a coalition of 18 Attorneys General, six cities, and the bipartisan U.S. Conference of Mayors filed a lawsuit to block the Trump administration from demanding citizenship information in the 2020 decennial Census. 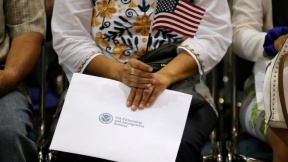 Demanding citizenship information will depress Census responses, and in cities and states with large immigrant populations, the lower response rate will directly threaten those jurisdictions’ fair representation in Congress and the Electoral College, as well as billions of dollars in critical federal funds for education, infrastructure, Medicaid, and more. The lawsuit, which was filed Tuesday morning in the U.S. District Court for the Southern District of New York, was led by New York Attorney General Eric Schneiderman and joined by the Attorneys General of New York, Connecticut, Delaware, Illinois, Iowa, Maryland, Massachusetts, Minnesota, New Jersey, New Mexico, North Carolina, Oregon, Pennsylvania, Rhode Island, Virginia, Vermont, Washington, and the District of Columbia; the cities of Chicago, New York City, Philadelphia, Providence, San Francisco, and Seattle; and the bipartisan U.S. Conference of Mayors. In Chicago, 34 percent of households did not mail back their 2010 Census questionnaire, and therefore required the Census Bureau to conduct in-person follow-up. Approximately 48 percent of Chicago’s population lives in hard-to-count neighborhoods. Immigrants account for 20.8 percent of Chicago’s population, and in 2014, an estimated 425,000 undocumented immigrants lived in the Chicago metro area. 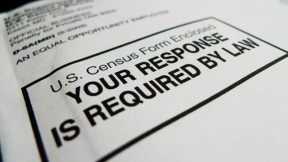 On December 12, 2017, the U.S. Department of Justice requested that the Census Bureau demand citizenship information in the 2020 Census form sent to every household in the United States, even though the Census is supposed to count all persons—citizens and non-citizens alike. The Department of Justice argued that the collection of such information was necessary to ensure proper enforcement of the 1965 Voting Rights Act. The lawsuit filed today is brought under the Enumeration Clause of the U.S. Constitution, as this action by the Trump administration will impede an “actual Enumeration” required by the Constitution. It is also brought under the Administrative Procedure Act, which permits courts to set aside unlawful or arbitrary and capricious agency decisions.